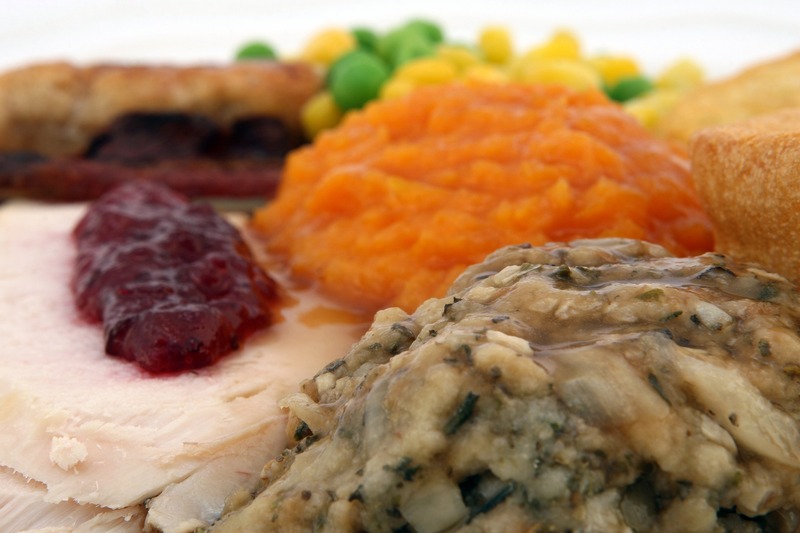 Originally, Thanksgiving was held to celebrate a healthy year and a good harvest among friends and family. Nowadays, we haven’t strayed much from these origins of the holiday. We come together with family and friends to express our gratitude toward each other, giving thanks to those we cherish in our lives. While our method of celebrating may differ from table to table, one thing is certain: we all tend to overindulge with our holiday favorites when it comes to food. 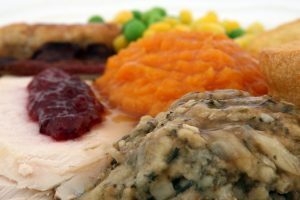 The good news, as our Glen Allen dentist will share, is that many of our traditional Thanksgiving dishes are actually great for your smile and oral health. Many of the dishes that adorn our table at Thanksgiving provide us with great sources of a variety of vitamins. Cranberries and green beans are a perfect place to start. These tasty sides are a good source of vitamin C which helps us fight infection and repair soft tissues. Vitamin C along with flossing every day will keep your gums in great condition. Cranberries also give our bodies minerals like manganese. This mineral strengthens bones and teeth and keeps our enamel healthy. You normally wouldn’t hear our Glen Allen dentist talking about candied anything being good for you, but candied yams may be an exception. Yams are an excellent source for vitamin A which is essential for our gum health and digestive system. The dentist Glen Allen patients trust for their gum health and soft tissue management loves seeing how good nutrition helps smiles look their best. If you stayed away from pie this year because of the sugar content, you’re on the right track for a healthy smile. However, pumpkin has some great health benefits. It is packed full of vitamins A and C and give our bodies the protection we need against infections. Try adding more pumpkin into your diet for the great fiber this vegetable offers or for the cholesterol benefits. In moderation, most foods that aren’t high in sugar are beneficial to our oral health. Eat foods that are good for your bones, teeth and gums. Brush and floss after your meals and be sure to drink plenty of water. A healthy diet along with regular visits to our Glen Allen dentist will put you on the path for a great smile. Join us on Facebook for more healthy tips and show us how your smile is loving your holiday feast.